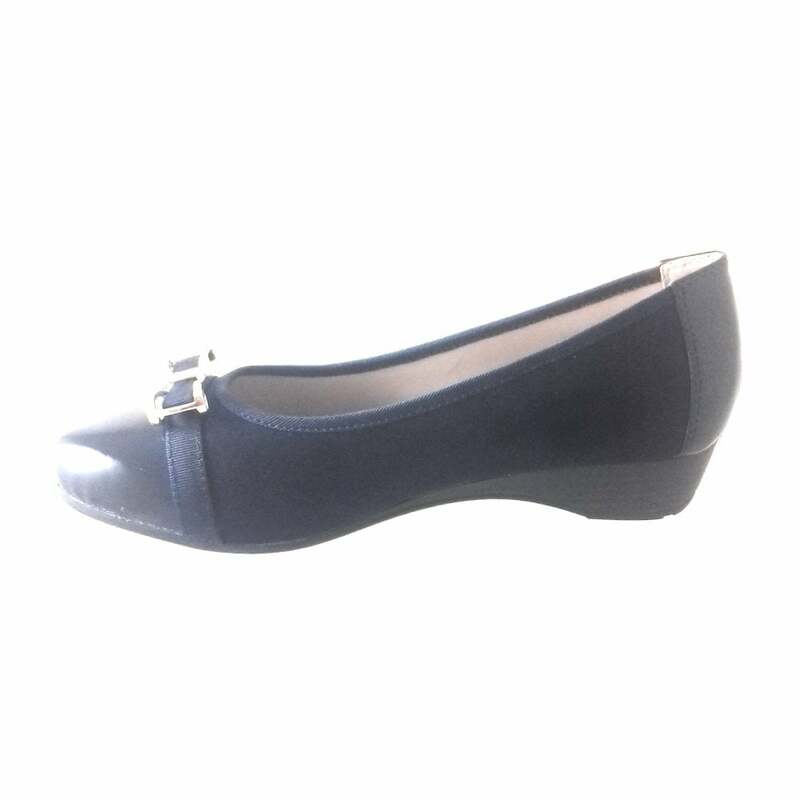 Feminine and practical these Lotus pumps offer comfort and style. 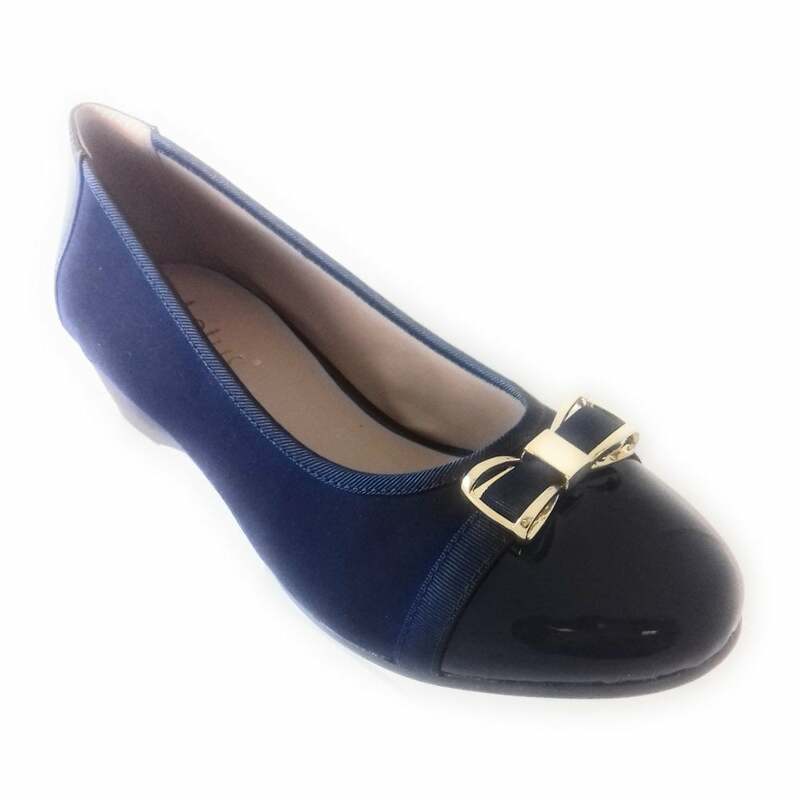 Kantor features a navy textile upper with attractive patent toe cap and heel, finished with a gold trim bow. 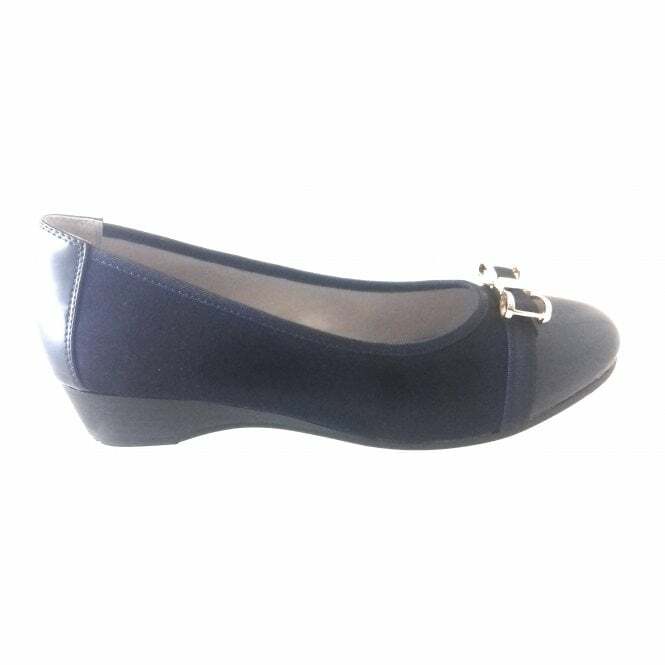 Team with anything from your favourite denim to tailored separates.